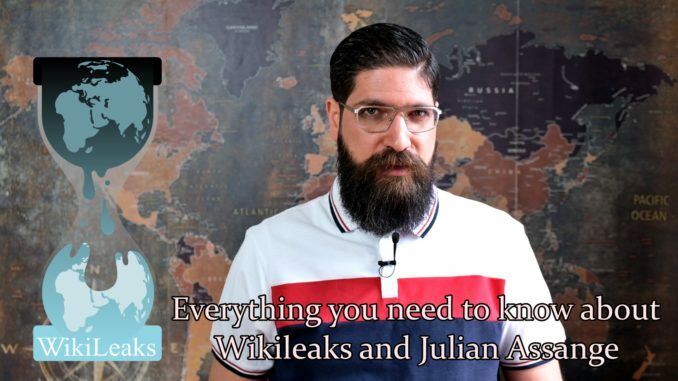 For starters, WikiLeaks is an international non-profit organisation founded by Julian Assange in 2006 in Iceland, that publishes secret information, news leaks and classified media provided by anonymous sources. Today the organization claims a database of 10 million documents in 10 years. 1-Julian Assange did not penetrate or hack into the computers and emails important diplomatic and security figures in the United States and abroad. Assange’s role is to receive and publish diplomatic cables without filtering. 2-In 2010, the former US soldier and intelligence analyst in Iraq Chelsea Manning sent Wikileaks about 750,000 secret, diplomatic or sensitive documents. In addition, WikiLeaks has a secure and confidential network that allows anyone to send confidential cables and documents even without mentioning the name of the source. On this basis, Assange obtained thousands of secret documents from hackers or just people who are still serving in their diplomatic or security jobs. 3-The turning point for Assange was in April 2010, when WikiLeaks released a video entitled “collateral murder”, which an American Apache helicopter targeting a group of people in Baghdad, killing between 12 to 18 people, including two children and Reuters journalists and it seemed like American pilots enjoyed the killing. This video has caused great shock and changed the nature of the debate over the Iraq war. 4- WikiLeaks has posted about 90,000 Afghanistan war logs, 390,000 Iraq war logs, and 250,000 diplomatic cables . These publications have documented US military involvement in the deaths of more than 20,000 people in Afghanistan and 108,000 people in Iraq, in addition to the US plots for regime change in Syria and Libya. For example, Wikileaks revealed to us that the invasion of Libya was motivated by French opposition to Gaddafi developing a gold-backed currency and the intention of Paris to have a bigger share of Libya’s oil and that the United States worked since 2006 on fuelling sectarian tensions to instigate a war in Syria. 5- Assange did not publish the documents selectively as some claim, and Russia’s share was about 800 thousand documents. The site also leaked classified documents from Syria. 6- Since 2006 WikiLeaks has not published a single false document. 7- Assange not only managed the Wikileaks site but he was also a social media activist and stood up against the US regime change project in Syria. True, that he had some misguided positions, such as his support for the Kurdish separatists, due to the influence of Noam Chomsky on him, but Assange was open to criticism and as far as I know he re-examined his position after a discussion with him in Twitter. 8- In December 2018, the United Nations formally ruled his detention to be arbitrary and a violation of human rights. They have repeatedly issued statements calling for him to walk free–including very recently. 9- On April 11, 2019, British police abducted Julian Assange from the Ecuadorian embassy in London after the new Ecuadorian president, withdrew asylum under the pretext of Assange’s misconduct inside the embassy. Independent UN rights experts on Thursday said the arrest of Wikileaks co-founder Julian Assange by police in the United Kingdom after the Ecuadorian Government decided to stop granting him asylum in their London embassy, exposed him to “the risk of serious human rights violations”, if extradited to the United States. So, as you can see folks, the world has become a horrible place, where one side is acting with complete impunity and arrogance while we are either careless or powerless. Kidnapping Assange means any of us could be kidnapped by the SWAT while the rest expressing anger and sending emojis on social media. And I ask in the mid of this misery: where is the anti-war left? Oh, I almost forgot, with some few good exceptions, some of the self-proclaimed Lefties are fighting with American weapons and the rest is discussing the number of human genders. If you appreciate independent journalism and would like to be active, not passive, I urge you to support all independent journalists out there on social media and spread their work. And in order for us to survive in this lawless jungle, I invite you to become my Patron by donating a very little through Patreon which makes this work possible.